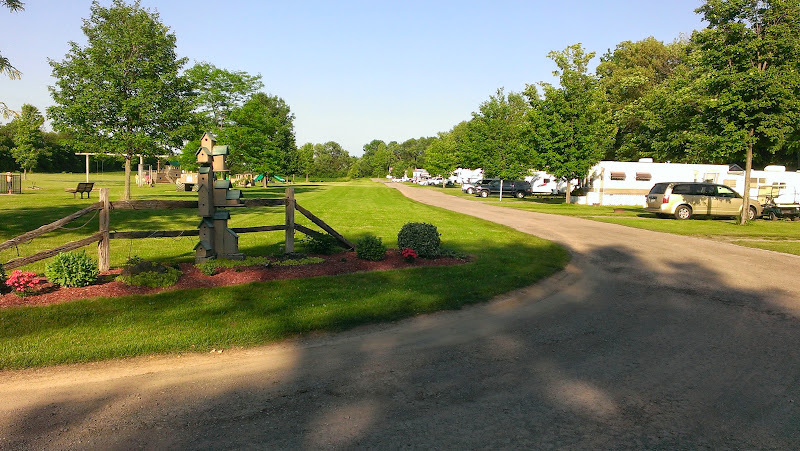 Prior to our departure from Indian Creek, we had checked several campgrounds along our route. 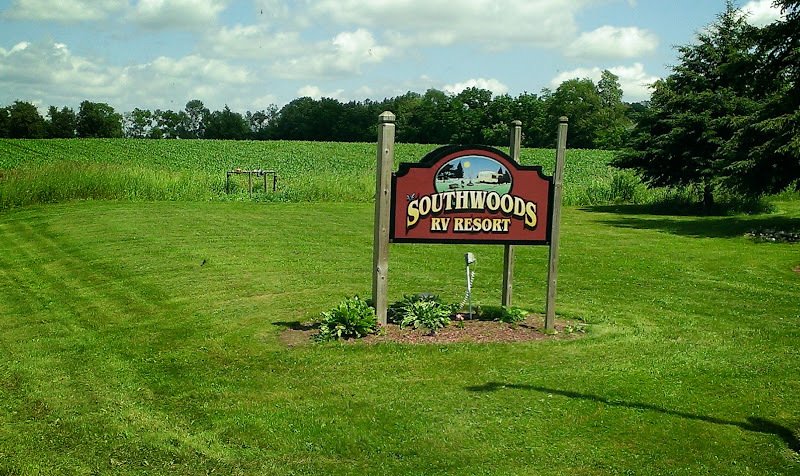 One in particular that looked interesting was Southwoods RV Resort in Byron, NY (east of Buffalo, south of Rochester). 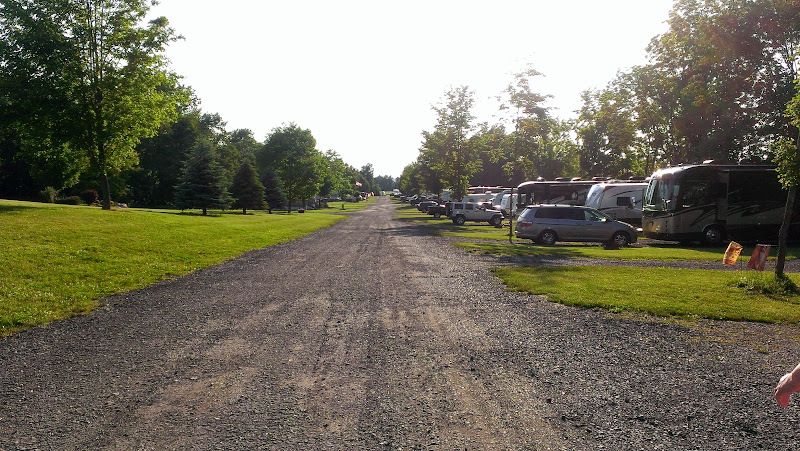 The online reservation system at Southwoods indicated there were no sites available for our size rig Friday night. 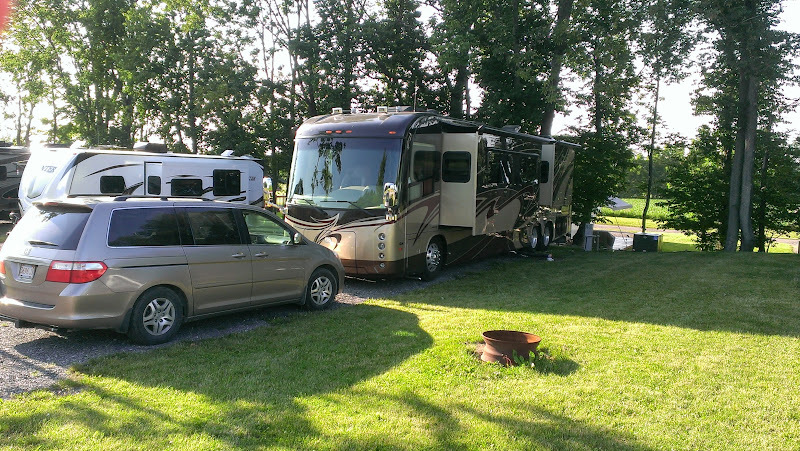 We knew it was Father’s Day weekend so places might be busy but we have also learned not to trust the online reservation systems – it is usually better to call the campground directly. 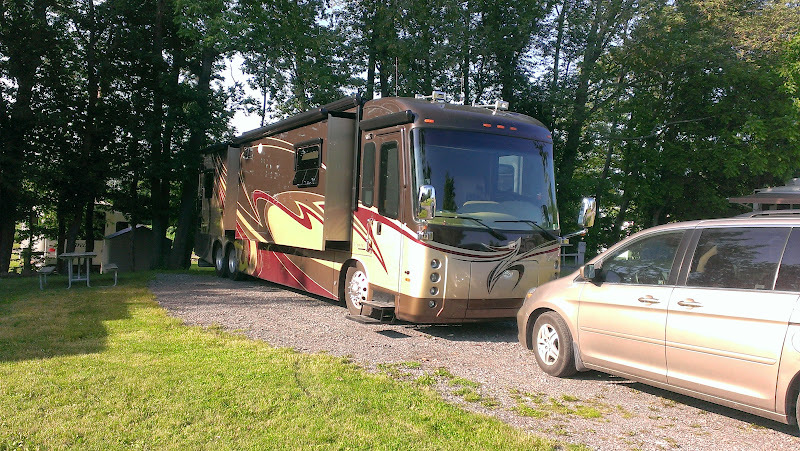 Good thing we did – they did have a back in site with full hookups for us! We left Geneva on the Lake after 10 am which was okay since we knew it would be a relatively short day. Back on I-90, it was another uneventful and relatively pleasant day of driving. 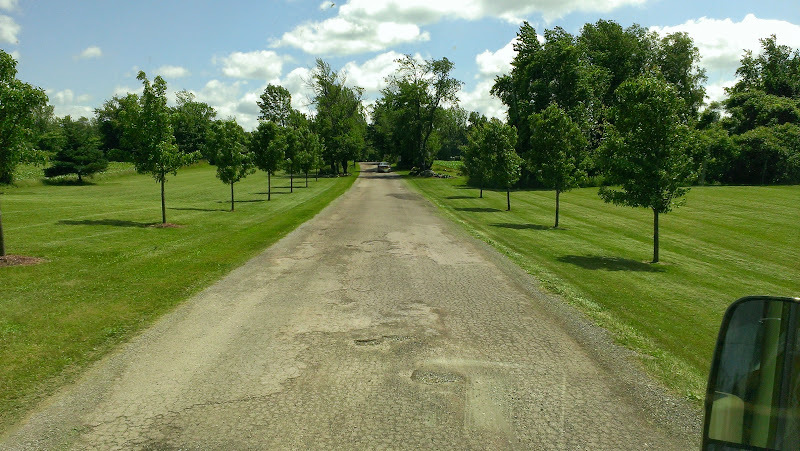 The GPS and campground directions agreed that we should take exit 48 onto SR98 North, then at Elba turn right onto SR262 East which eventually becomes Townline Road in Byron, NY (population of 2400) where the campground is located. 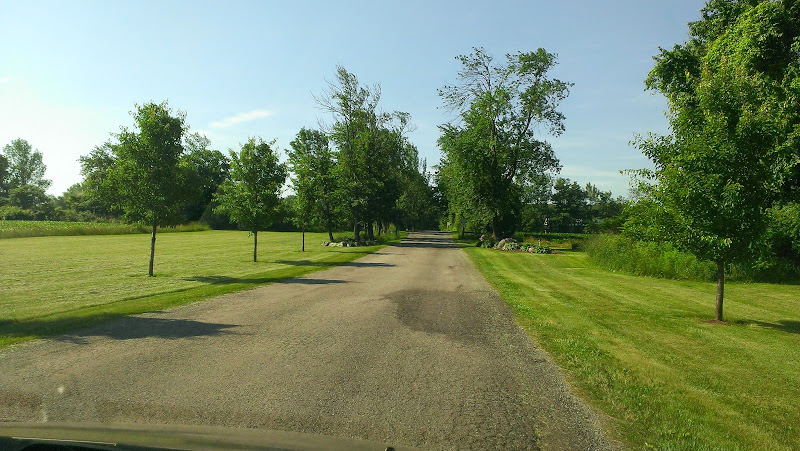 While it seemed a little further off the highway than we normally like for an overnight stop, the drive through the countryside was easy and enjoyable. 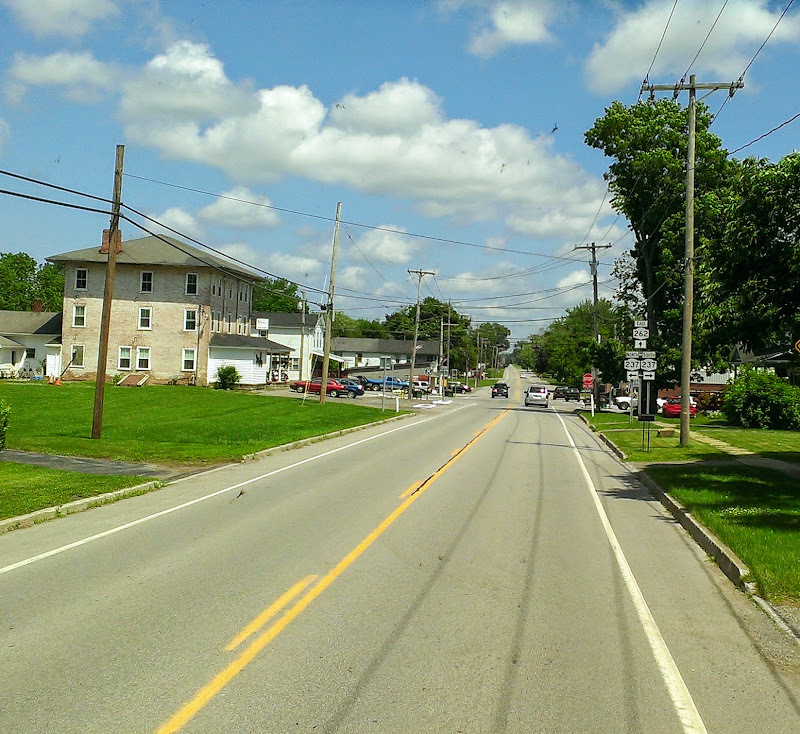 Furthermore, SR262 parallels I-90, so upon leaving we would continue East on SR262 to SR19 and pickup I-90 at Exit 47 – the actual miles driven out of our way were only about 4 on SR98 and 3.3 on SR19. 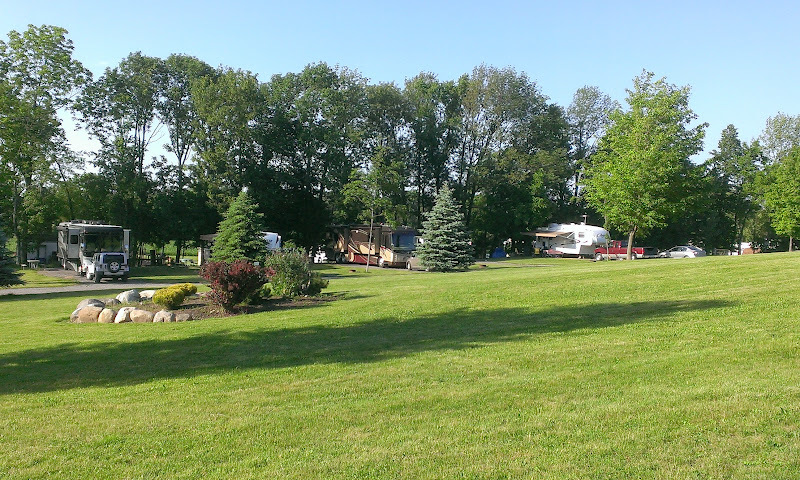 We were pleasantly surprised when we arrived at the Southwoods RV Resort campground around 2 pm. we were assigned site #M33, Very nice! 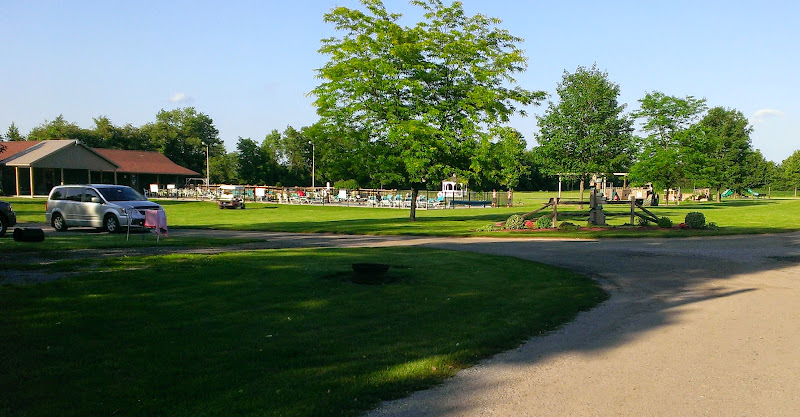 Sites are gravel, are relatively well spaced, mostly level and have a picnic table and fire pit. After we were settled into our site, the people two sites over started talking to us (the site next to us was unoccupied at the time). 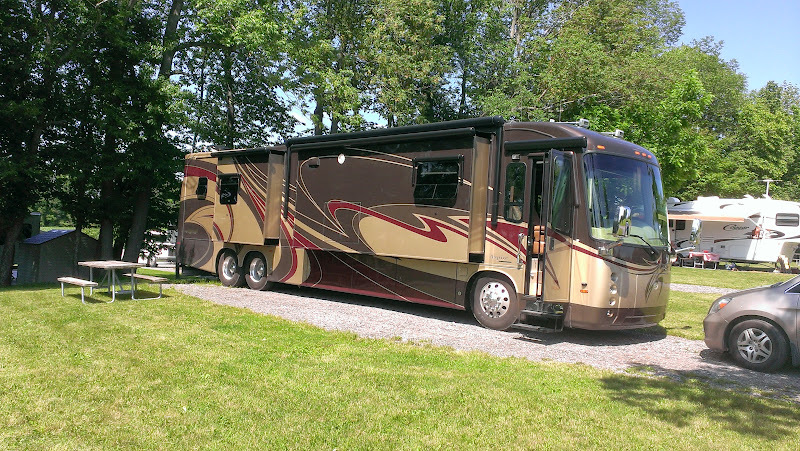 Jim and Elaine had recently sold their house in Rochester, NY and were living in their 5th wheel so they had been there several months. Their plan was to look for a new home in eastern Tennessee and they figured they would have a lot of time to move after their house sold – but it sold in just 10 days and the new buyers wanted them out in 30! It was a fire drill for them to get out. Great people! Sometimes you click with the people you meet – we did with them! We spent several hours with them sharing stories about our lives. 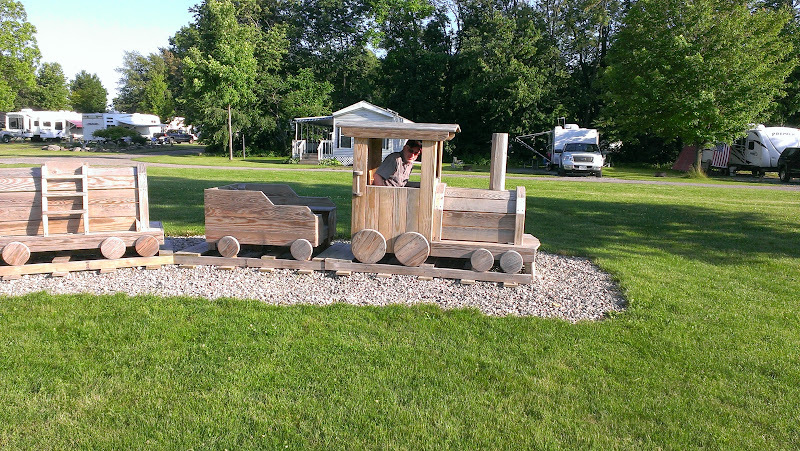 Rob and I finally decided to take a walk around the campground so we left them about 6 pm. 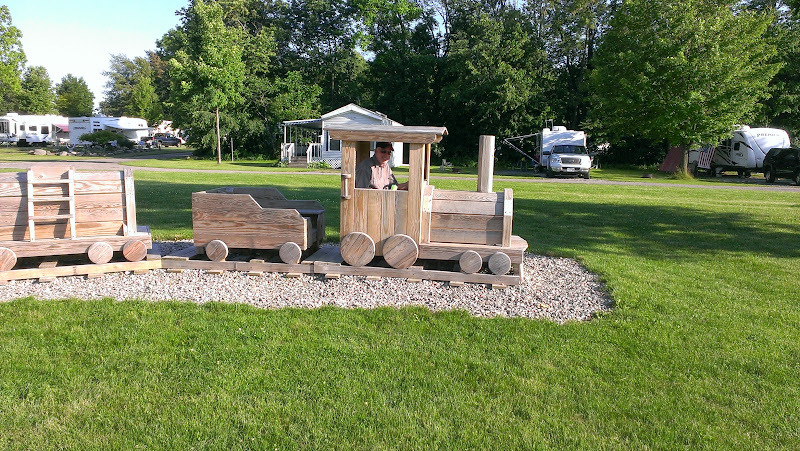 As we walked around we noticed that there were a lot of seasonal sites, some with park models on them. 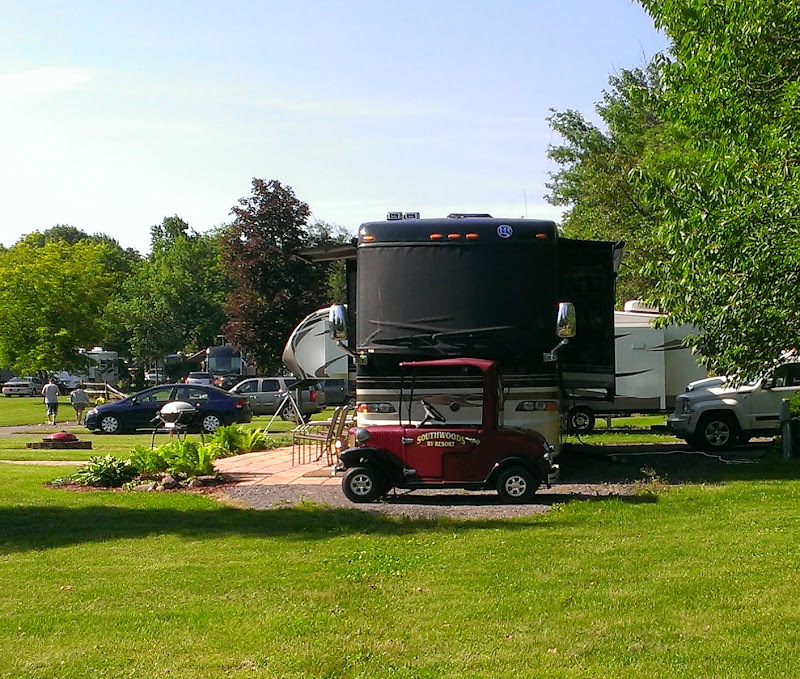 Quite a few golf carts too. 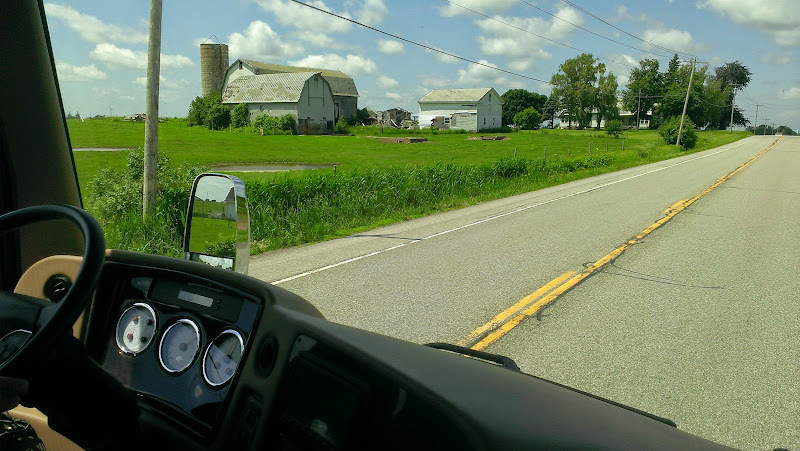 Everything was very neat and clean – no run down trailers with decaying structures attached to them. 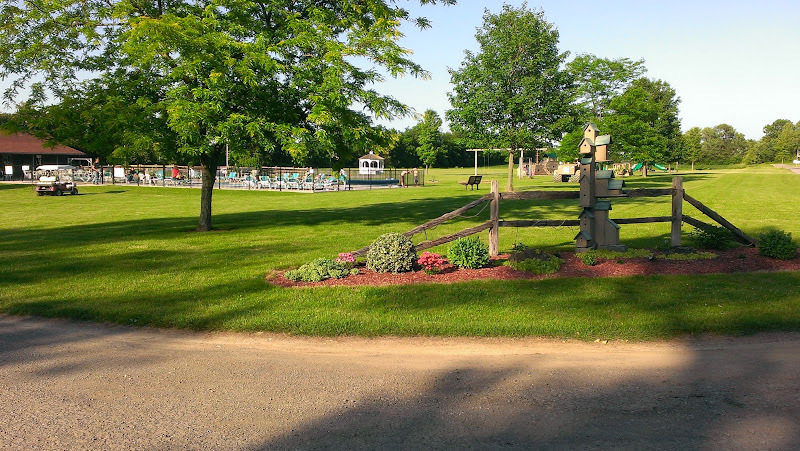 Lots of amenities – a good size pool, children’s playground, horseshoe court, volleyball and lots of scheduled events. 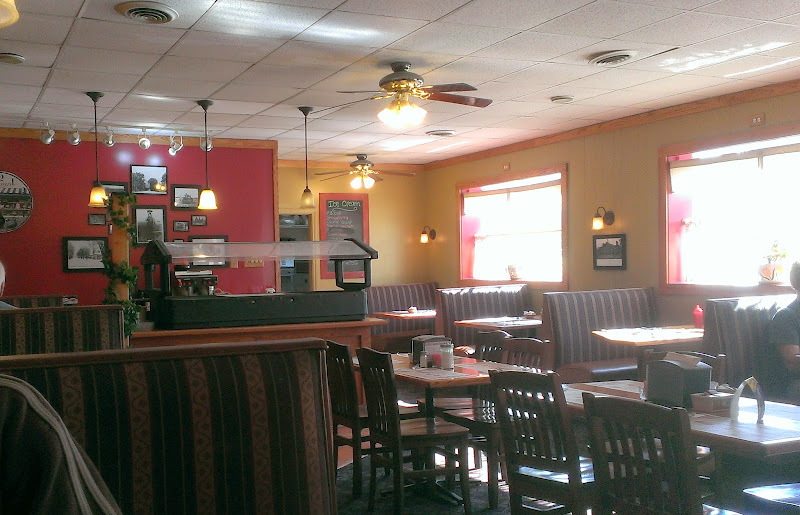 On Saturday, they were having a Father’s Day pancake breakfast but we didn’t go. 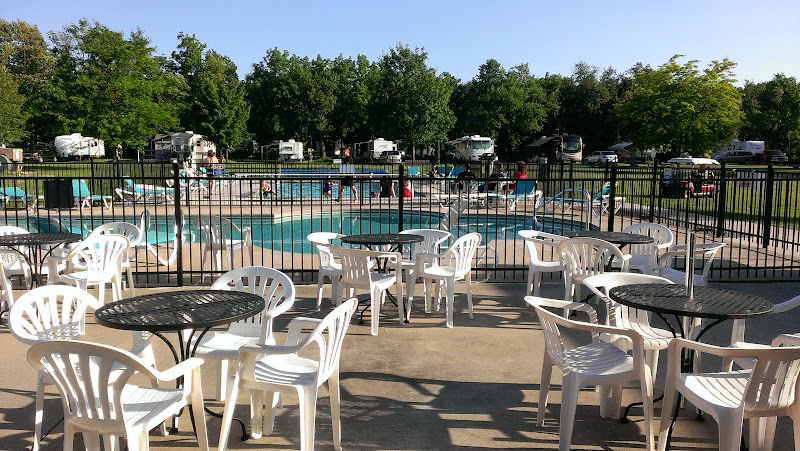 Apparently this campground is popular with seasonals, mostly snowbirds who spend the cold half of the year in the south – that explains all the golf carts! 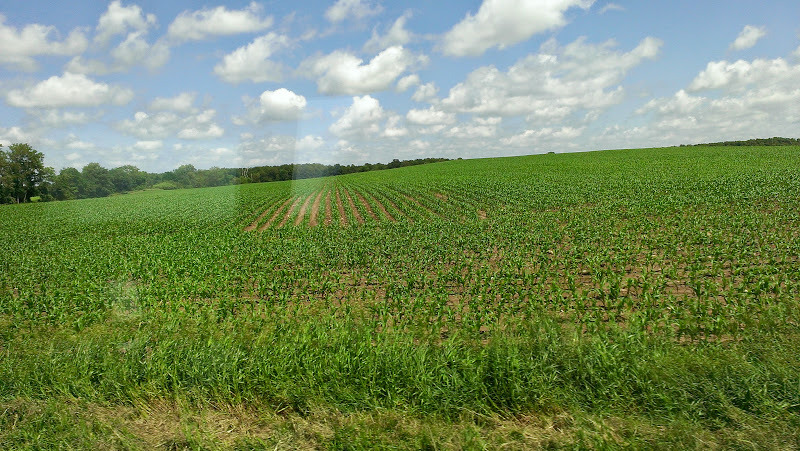 But it still had a nice feel to it and the surroundings were pleasant enough (lots of corn fields). 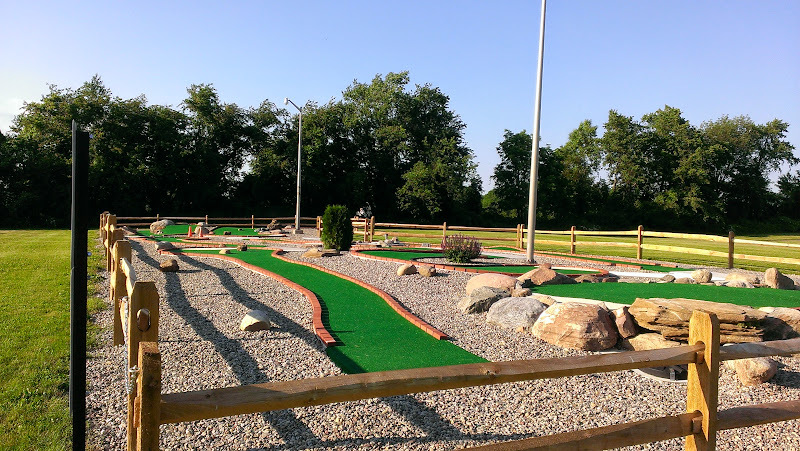 We could see spending a little bit of time here should that need arise. Luckily, for dinner we still had half of the Rise N Roll pizza left plus we had bought some salad fixings as there weren’t a lot of restaurants in the area. We spent a quiet evening. 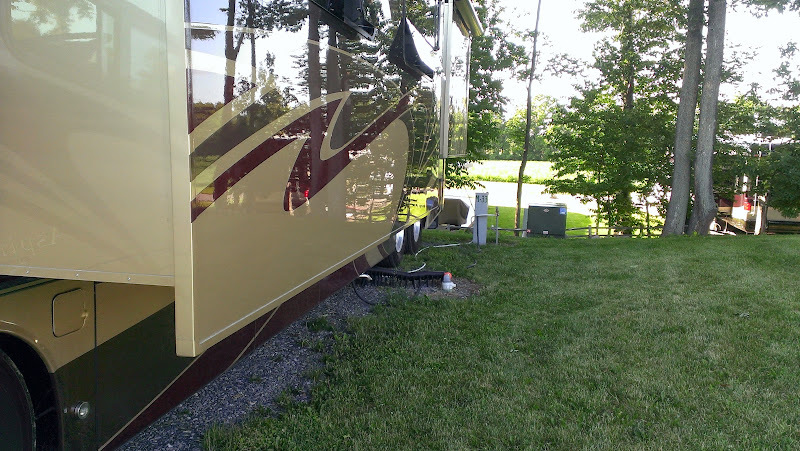 Ah, so nice to be back into the RV’ing world! 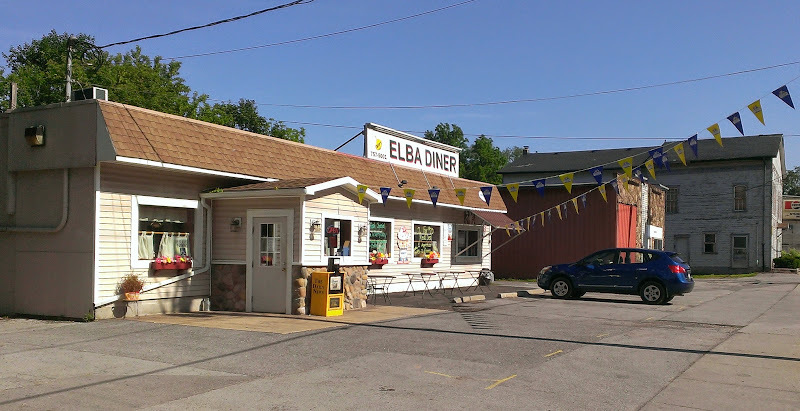 In the morning we drove back over to Elba (we passed thru there on the way in) to have breakfast at Chap’s Elba Diner which was about 10 miles away. 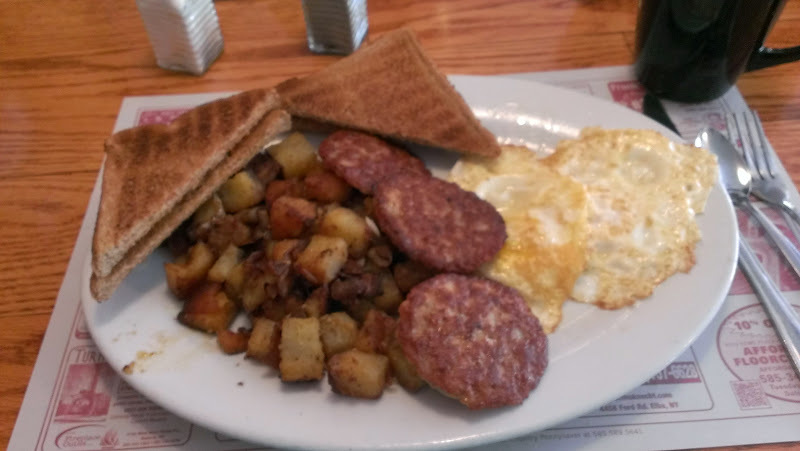 Delicious breakfast – $4.99 bought 2 eggs, meat, home fries or hash browns, toast and coffee. Another $10 breakfast for the 2 of us, not bad! Back at the campground once we were ready to depart, we went over to say goodbye to Jim and Elaine. We gave them our email addresses and told them to keep in touch with us. We wish them luck in their journey and house search in Tennessee! We possibly could have driven from Byron to home in one day but it would have been a very long day. Add the additional stop in Albany and we decided that we needed to find a campground in the Albany area for that night and head home on Sunday. No easy task! I ended up calling Arrowhead Marina and Campground in Glenville, NY before we went to breakfast but no one answered so I left a message. When I hadn’t heard from them several hours later, I called again and left another message. Finally a call back so I made a reservation for that evening. More about our last leg of our journey in the next post!